Style. Function. Versatility. The 24-inch Brooks vanity combo will be the cornerstone of your bathroom, providing ample storage space in a compact design. Featuring an elegant white finish and clean lines, the Brooks embraces a transitional aesthetic that is timeless and pure. 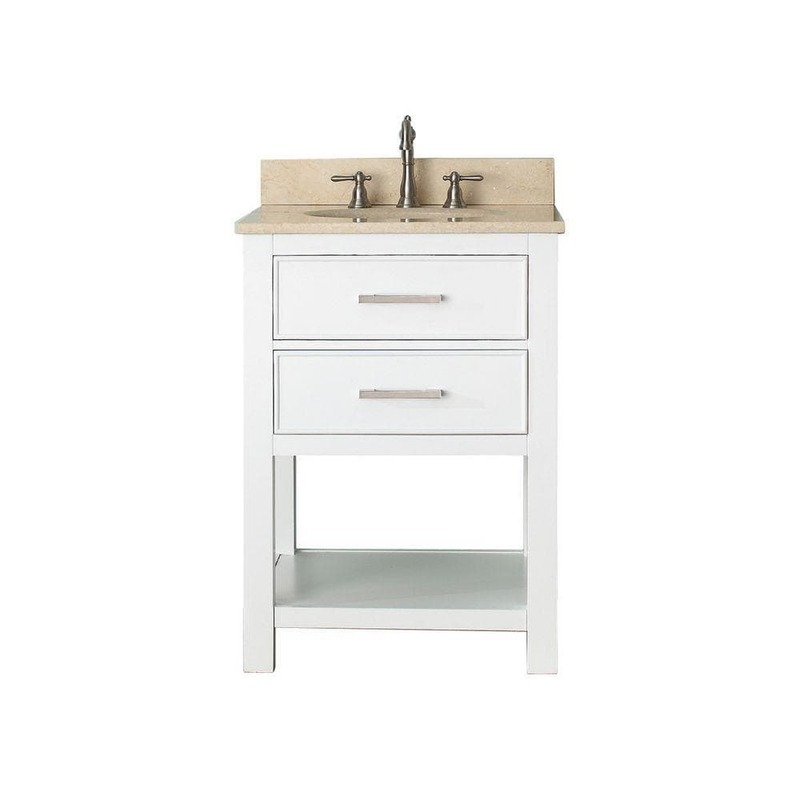 The combo includes a durable galala beige marble top and oval white vitreous china sink.